CERTASS, GOVERNMENT AUTHORISED SINCE 2006. Certass is Government authorised to operate a Competent Person Scheme and is a UKAS accredited Certification Body. UKAS (United Kingdom Accreditation Service) is a Government approved body which is internationally recognised to accredit Certification Bodies. It accredits a Certification Body against an internationally recognised standard. Certass is accredited to operate product certification schemes against the standard BS EN17065. UKAS accreditation matters! It places a duty upon us to certify our members impartially against agreed standards. It requires that our certification provides confidence to all interested parties including consumers, Governments and industry. It is very different from the find a contractor schemes advertised on TV. These schemes are basically lead generation businesses that sell your information to contractors to be able to contact you to quote for work. Contractors can pay hundreds, if not thousands, of pounds per year to be a member of these schemes. As you will be able to determine there is a large potential conflict for these types of schemes. Look for a UKAS accredited certification body to ensure they act impartiality to recognised standards. 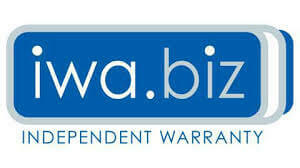 Certass are independently checked by UKAS on an on-going basis. TAKE A LOOK AT OUR SHORT INFORMATION VIDEO TO SEE WHY YOU SHOULD CHOOSE A CERTASS GOVERNMENT AUTHORISED COMPETENT PERSON SCHEME MEMBER. We are a CERTASS accredited contractor to not only give you piece of mind, but to show you from day one you’ll be treated with the profession approach you’d expect. All contractors are regularly audited on-site and at the contractor premises. The contractor’s paperwork is also checked to ensure that his business procedures meet the requirements of Government endorsed standards. Certass members have direct access to a range of industry experts for immediate clarification and technical advice on building regulations via a technical helpline as well as online access to a technical manual which is updated at regular intervals. Certass carries out random audits on a percentage of a contractor’s work to ensure the work has been carried out in accordance with required standards. > Certass contractors will provide you with a consumer contract explaining the work to be undertaken. We recommend you make notes on your specification to ensure that there are no misunderstandings regarding your requirements. Certass contractors will provide you with protection to cover your deposit through an independent insurance backed guarantee provider. > All Certass contractors are required to provide all of their customers with a written guarantee to cover the installation work. Furthermore, Certass contractors are required to provide you with additional piece of mind in the form of an Insurance Backed Guarantee. This covers the contractors written guarantee in the event that they cease to trade. 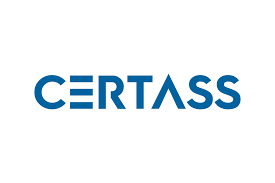 > Once the work has finished, your Certass contractor will register your installation with Certass within 21 days of the installation being deemed complete. On your behalf Certass will, where applicable for Building Regulation requirements, notify your Local Authority of the installation completed at your property address. Certass will issue you with your legally required Building Regulation Compliance Certificate as proof of compliance*. *This will be required by your solicitor should you wish to sell your property. If you’ve lost your certificate, either you or your solicitor can contact Certass directly and order a replacement. There is a small charge of £18 including VAT for replacement certificates ordered 28 days after original issue date. All Certass contractors must have a formal complaints procedure in place. Contact them directly for a copy of their complaints procedure and ensure you keep full records of any communications or conversations with the contractor. In the event that you are still dissatisfied and the contractor has not been able to resolve your complaint after fully exhausting their complaints procedure, you can contact Certass for an independent investigation of your complaint. Provision and maintenance of a suitable level of management systems, processes, consumer financial protection, and trained site operatives to meet the MHCLG Conditions of Authorisation. 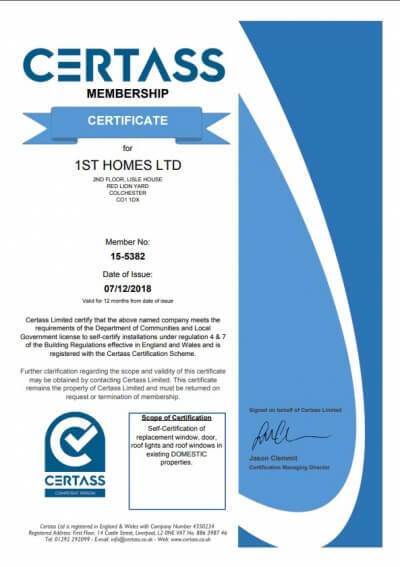 The business registered meets the requirements of the MHCLG license terms to self-certify installations under regulations 4 & 7 of the Building Regulations effective in England and Wales and is registered with the Certass certification scheme. An on-site audit has taken place; at this point the contractor may advertise and market it’s services as a competent person scheme installer. Our Competent Person Scheme is operated under direct license from MHCLG (Ministry of Housing, Communities and Local Government). Provision and maintenance of a suitable level of management systems, processes and workmanship standards to meet the CQ-Assured scheme requirements. The business registered meets the requirements of the Certass CQ-Assured scheme in relation to consumer charter, complaints handling, issuing of consumer contracts, liability insurance requirements, guarantee issue and workmanship. This scheme meets the requirements of the TrustMark ‘Government Endorsed Standards’ scheme, where the registered Certass member chooses to include this. The CQ-Assured scheme is not a Building Regulation notification scheme. Where Building Regulation notification is required it must be done via either Local Authority, Approved Inspector or Competent Person Scheme as appropriate. Provision and maintenance of a suitable level of management systems, processes, consumer financial protection, and trained site operatives to meet the requirements of PAS2030. The business registered meets the requirements of PAS2030 to install Energy Efficient Measures. The installing company will be able to install measures under ECO. Our PAS2030 Energy Efficient Measures scheme is UKAS accredited. To gain certification the installer must have a current copy of PAS2030 and operate a Quality Management system in-line with the PAS2030 requirements. Provision and maintenance of a suitable level of management systems, processes and thermal calculations to meet the TRR scheme requirements. The business registered meets the requirements of the TRR scheme in relation to submission calculated data for the thermal performance of its window and door products conforming to the requirements of EN10077-1 & 2 and suitable management processes for production of window and door products from order to customer delivery.